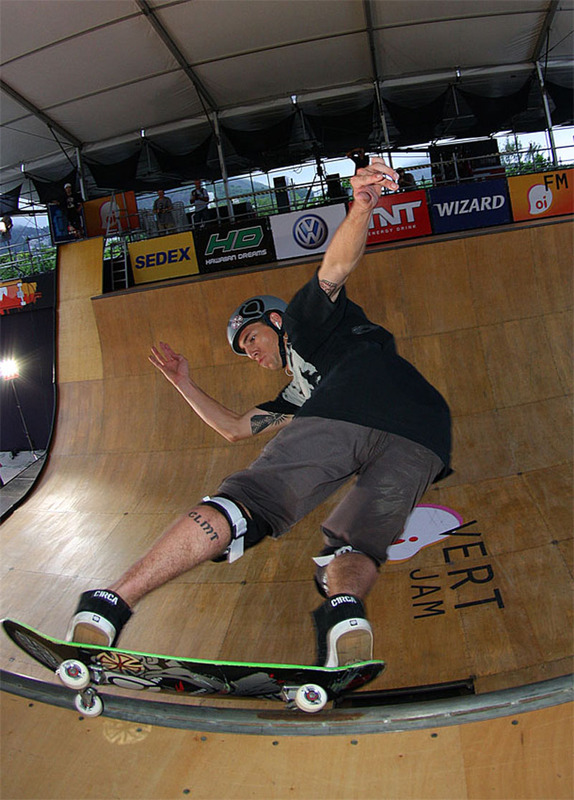 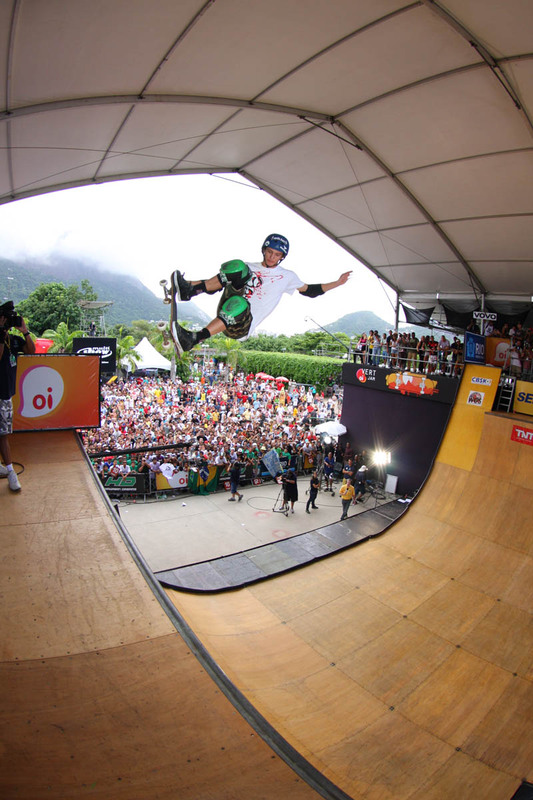 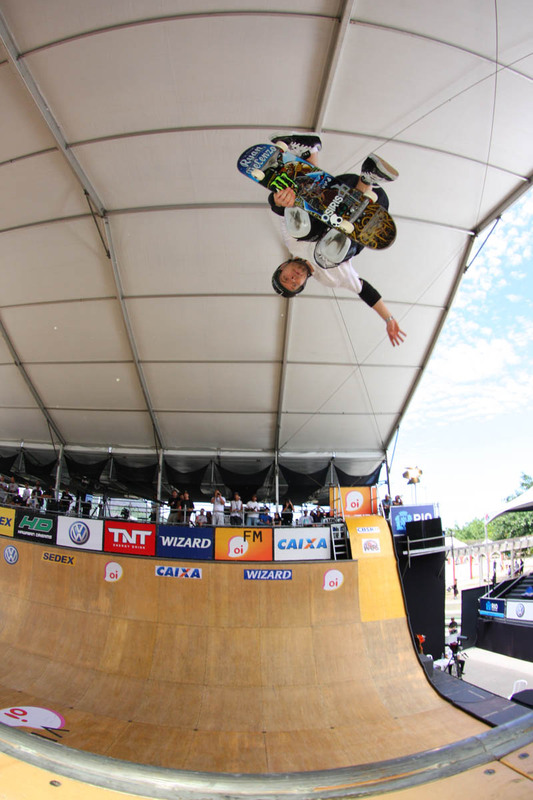 Marcelo Bastos, who finished the '09 Dew Tour ranked 15th, rose to the occasion on his home turf to outpace many of his fellow Dew Tour vert riders and capture this year's Oi Vert Jam. 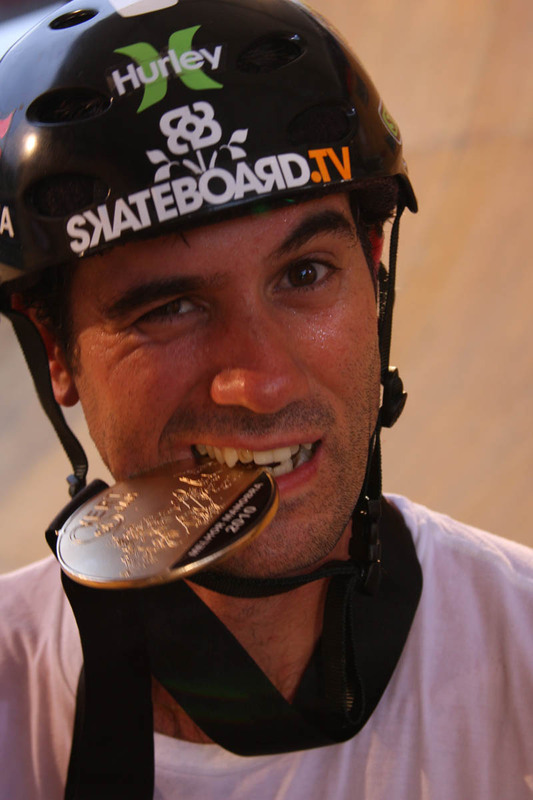 In second place and the top placing US rider was none other than Adam Taylor who must have been feeling the Brazilian squeeze with Sandro Dias and Pedro Barros rounding out the top four. 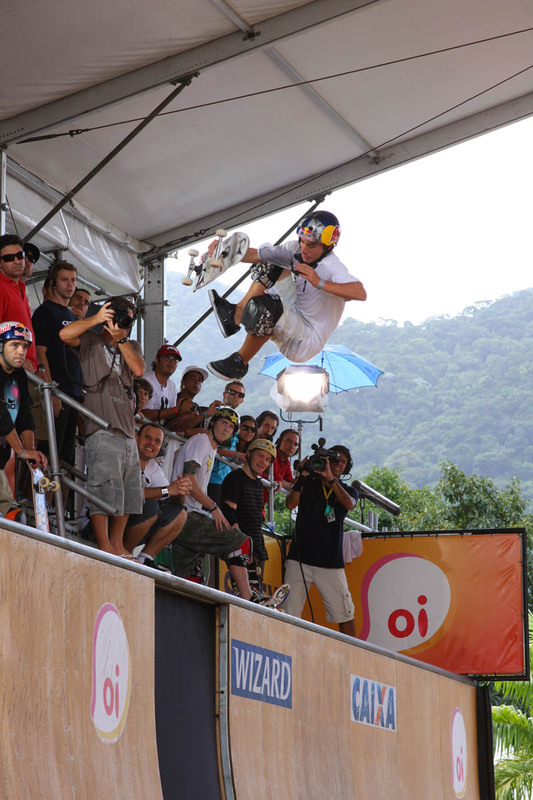 Other Dew Tour notables were the UK's Paul Luc Ronchetti, Australia's Renton Millar, San Diego's Alex Perelson and Tampa's Anthony Furlong rounding out the top ten. 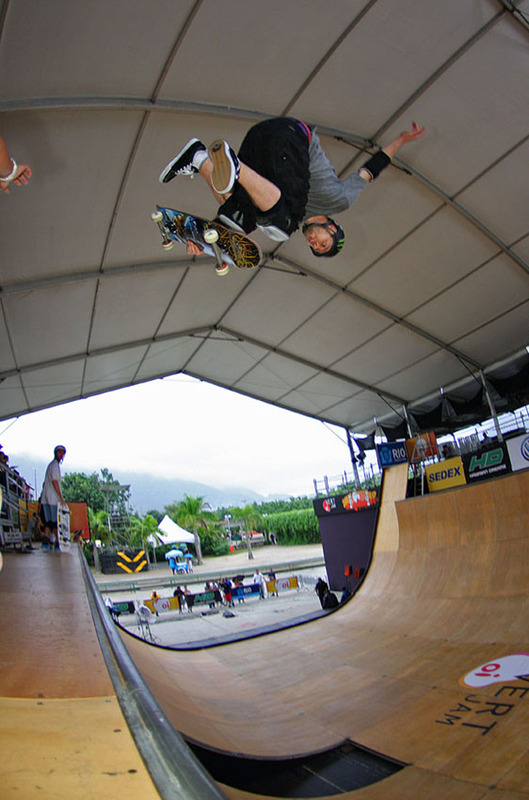 In the best trick competition, Bob Burnquist once again blew minds with an unthinkable switch kickflip boardslide to fakie. 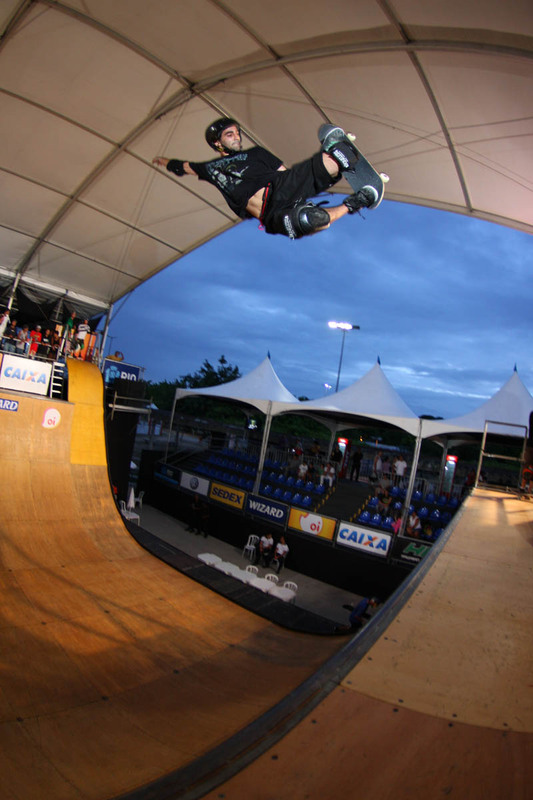 Congratulations to Marcelo who will be looking to duplicate this success once the Dew Tour kicks off in Boston June 25th- 27th.